Welcome to Connecticut Ski Authority. We have the Best Ski Discounts for You. Originally developed in ancient times as a faster method of transportation than trudging through the snow, skiing has grown into a beloved sport and pastime for many all over the world. Closer to home, the history of skiing in Connecticut is linked all the way back to the nation’s founding. In fact, whether it’s thrill-seeking downhill or cross-country skiing that reminds you of the early pioneers, the Constitution State continues to contribute to America’s love of skiing. Let us show what you to still have to learn and experience about Connecticut. The process behind creating artificial snow was first pioneered in Cornwall, Connecticut by Walter Schoenknecht. >Mohawk Mountain, the first resort to use this technology, opened in 1947 and is still one of the most popular resorts in the state today. After Schoenknecht invested $45,000 into creating a resort, there was an unusually warm season in Connecticut that threatened his fledgling business. He brought in ice by the truckload and ran it through an ice chipper, which soon created enough “snow” to cover one slope. Mohawk Mountain soon became a huge success. Looking for a unique summer vacation? 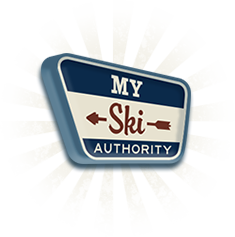 Woodbury Ski Area is open all year long. With twelve slopes varying in difficulty from very easy to very difficult, there is sure to be something for anyone who wants to escape from the heat. This ski area offers cross-country, glade-skiing, and tubing. That said, to be fair, there’s nothing like the winter skiing in Connecticut. The state usually gets a nice helping hand from Mother Nature. Despite being a small state, the coastal geography creates micro-climates that make cities and airports more accessible, while still leaving plenty of snow coverage on the mountains. In elevated, inland areas, it’s not uncommon to get 50, 60, or even 70+ plus inches of snow each year. Schoenknecht also created the first chair lifts, which eliminated the need to trek back up the mountain after skiing down a slope. As the story goes, he had severe back problems which made it difficult for him to remove his skis when riding the gondola. In March of 1965, he opened the first “Telecabine” gondola, which was a primitive chair lift made with chains. While visitors reported it was a slow and loud ride, it did eliminate the need to take off skis before riding back up the mountain, allowing skiers the opportunity to get more skiing in. Now that you know a little bit about the skiing in Connecticut, it’s time to start planning. Whether it’s hunting for online discounts or just asking us for planning tips, let us help you create a better experience on your next trip. This state has a place for you to ski for every season, so it won’t be long before you’re grabbing those skis and getting ready to start an adventure.